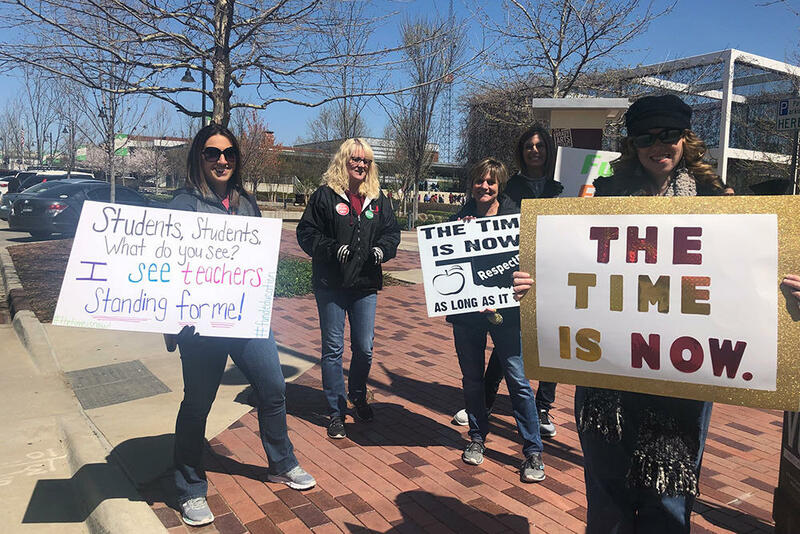 Education supporters gather at Guthrie Green in Tulsa on Wednesday, April 4, 2018. As House members were preparing to adjourn, Republican Majority Floor Leader Jon Echols announced that he had just been notified by the state Senate that they would hear House Bill 1013XX on Thursday. This would allow casinos to have ball and dice table games. The games they currently have are played with cards or are electronic versions. This is projected to raise up to $20 million. House Bill 1013XX passed the House of Representatives on March 26, but the Senate did not take it up. This bill requires a 76% majority in the Senate to go to the governor. If it passes, and goes to the governor, this would bring the additional revenue to $40.5 million, approximately the amount that was lost from the revenue package when the $5 per night fee on hotel and motel rooms was repealed last week. In what may have been a final peace offering to teachers rallying at the state capitol, the House of Representatives took up a bill that would place a sales tax on Amazon marketplace vendors. House Bill 1019XX would raise approximately $20.5 million, and after an amendment on the House floor, that money would be solely dedicated to Oklahoma public schools. But Kevin Wallace, the appropriations chairman, told lawmakers that this is it. "I do not believe you will see another revenue measure on this floor." He said compromises made to get last week’s revenue package for teacher pay raises passed eliminated the possibility of reinstating the capital gains tax or allowing ball and dice games in casinos. House Bill 1019XX passed the house by a vote of 92 to 7 and now heads to the Senate for consideration. After an hour delay and negotiation on the floor of the House of Representatives, lawmakers are back at work. Democrat Scott Inman and Republican John Bennett have submitted an amendment that would send $20.5 million of new revenue annually into the funding formula for common education. "HB 1019 raises the threat of legal action against the state of Oklahoma. As such, the state will likely incur significant legal fees if enacted. But even if the state wins in court, the power to force businesses with no physical presence in the state to report and collect taxes, the Oklahoma economy will suffer as Oklahoma remote retailers could be subject to a patchwork of more than 12,000 taxing jurisdictions across the country. The compliance costs (both time and financial) along with the potential of audit risk will be substantial and will suppress growth." The House of Representatives has convened in special session. They are hearing House Bill 1019XX, a bill that would close a loophole in sales tax collection for third party Amazon vendors. The Oklahoma legislature passed a bill in 2016 that requires Amazon to start collecting a 4.5% sales tax on online purchases or send customers a bill to pay the state directly. Amazon chose to start collecting the sales tax on behalf of the customer, but that did not translate to third party vendors on Amazon. Lawmakers say this could generate up to $30 million annually. The money in the bill would go to general revenue and is not specifically earmarked for education. Democratic Representative Scott Inman of Del City is trying procedural maneuvers to file an amendment that would specifically designate the money for the classroom. Republican Representative Kevin Wallace of Wellston says there is no longer a gap in the state budget, and because of actions taken during the 2017 legislative session and during the special sessions, more revenue is available to appropriate to all agencies including education. He says that means there won't be a shortage for education. Inman countered and said that if adjusted for inflation, education is getting $1 billion less today than it was in 2008. 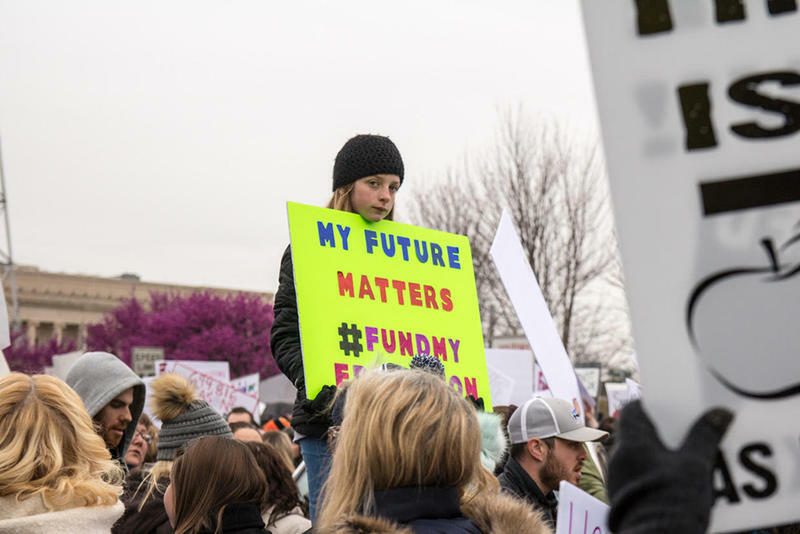 More than 100 education advocates set off today on a seven-day, 110-mile march from Tulsa to the state capitol in Oklahoma City to bring attention to the state’s education funding problems. Matt Trotter of KWGS reports. Marshall Elementary second grade teacher Cindy Gaete says she was at the capitol the first two days of the teacher walkout to tell lawmakers her class is overcrowded and her books are falling apart, but she hopes the march adds to the message. "Marches have a historical legacy in our country, from Cesar Chavez to Dr. Martin Luther King Jr. Marches are a movement of solidarity and they're meant to prove a point. So, we're here to advocate for our students and public education funding and we hope that the march is one way to do that as well." The group will walk nearly 16 miles a day and sleep at high schools along the route. KGOU's Jacob McCleland reports from the state capitol on the third day of the Oklahoma teacher walkout. Listen below. The school closures already announced for Thursday include Oklahoma City, Tulsa, Yukon, Blanchard, Mustang, Clinton, Chickasha, Sulphur, and Ponca City. Dozens of others have also announced pending closures for Thursday. StateImpact Oklahoma's Emily Wendler joined NPR's Here and Now this morning to talk about the teacher walkout. Emily addresses Governor Mary Fallin's comments to a CBS reporter, comparing teachers to a teenage kid wanting a better car, and what it might take to end the walkout. John Durkee of KWGS reports support for the teacher walkout seems to be growing, especially in Wagoner, a rural town east of Tulsa. 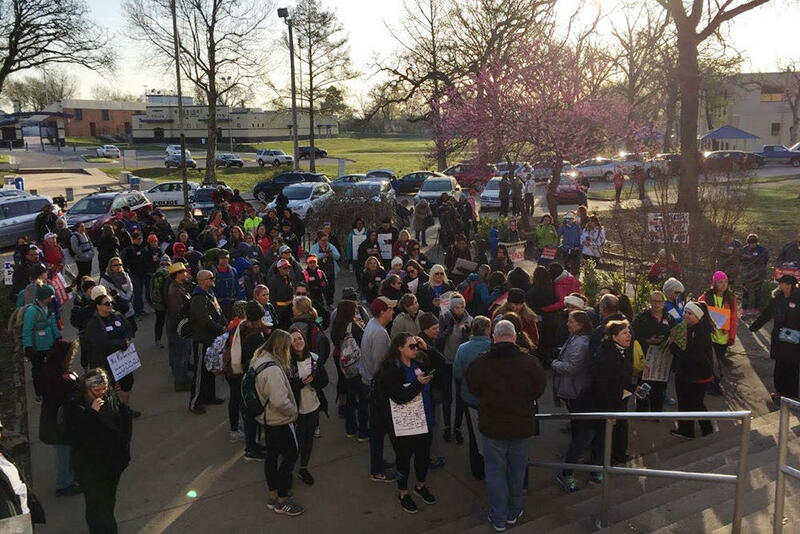 Meanwhile, in Tulsa, a group of teachers, parents, and education supporters kicked off a multi-day walk of 110 miles from Tulsa to the state capitol to bring attention to the education funding crisis. Dozens of people gathered at Webster High School in Tulsa to walk 18 miles to Kellyville High School in Kellyville. Education supporters gather at daybreak, as they get reach to march 18 miles from Webster High School in Tulsa to Kellyville High School in Kellyville. The walk will continue tomorrow and last through Tuesday, with people walking legs of the march to Bristow, Stroud, Chandler, Wellston, Jones, and finally to the state capitol. Many Oklahoma teachers say they will continue rallying at the Capitol until lawmakers increase funding for the classroom. Another group of educators is starting a 110-mile walk from Tulsa to Oklahoma City today to draw attention to the fight for more funding. So far there’s been no resolution, but some lawmakers say one is possible. 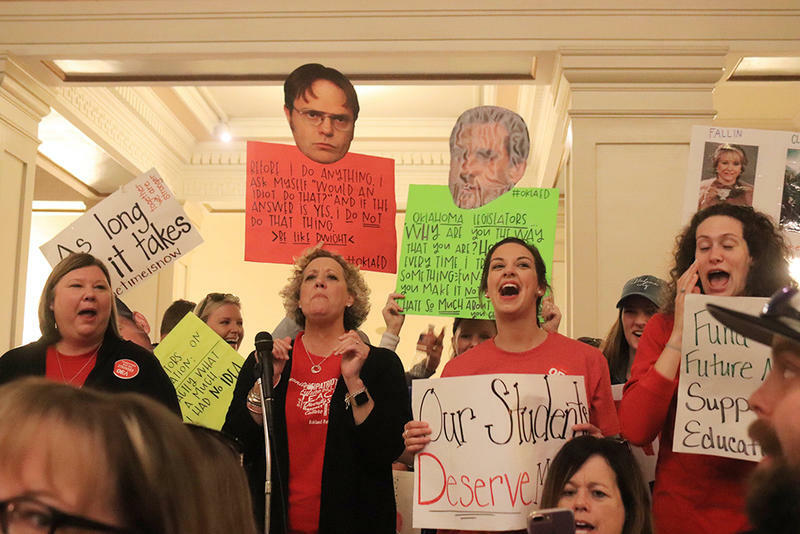 The Oklahoma Education Association, the teachers union organizing the now three-day teacher walkout, wants lawmakers to pass two pieces of legislation to increase school funding this year. One is a measure to allow ball and dice games in casinos, another would repeal some capital gains exemptions. Senator Gary Stanislawski, a Republican from Tulsa, says it’s possible, but the money might not get to education as quickly as teachers would like. 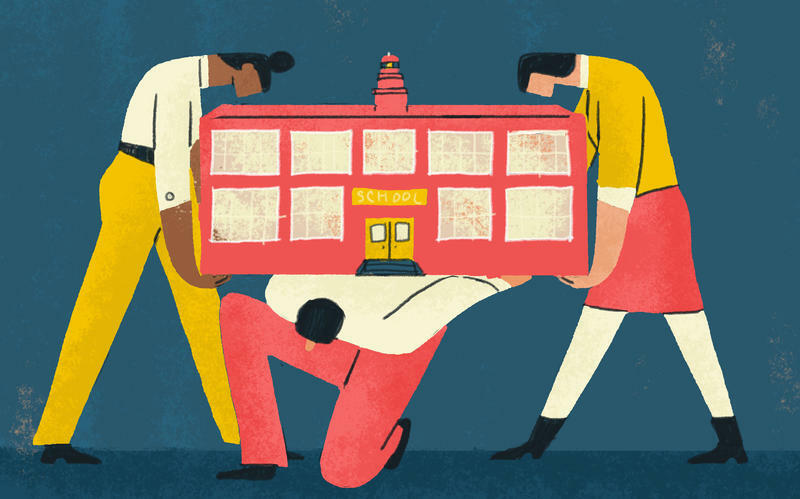 "I do think the legislature is going to make it a priority to put in a substantial amount of dollars in to the operations of schools next year." Stanislawski says the economy seems to be doing better, and with the additional revenue these measures could bring in, lawmakers might have more money to spend on schools in 2019. Schools across Oklahoma closed for a second day, as teachers continue to rally for more education funding. State lawmakers approved a teacher pay raise last week, but educators say this rally is about getting more money for the classroom. Public schools from every corner of the state closed their doors today as teachers walked out of the classroom and marched at the Oklahoma capitol to protest years of cuts to education funding. Last week, Governor Mary Fallin signed the first statewide tax increase in nearly 30 years to give teachers a roughly $6,100 raise. The nearly $450 million deal increased taxes on cigarettes, fuel and oil and gas production in hopes of heading off the teacher walkout. Police Sgt. Jeff Crawford is breaking his routine. He’s leaving the office and climbing into his squad car because Oklahoma City Public Schools teachers and supporters are rallying at the state Capitol to demand more school funding. 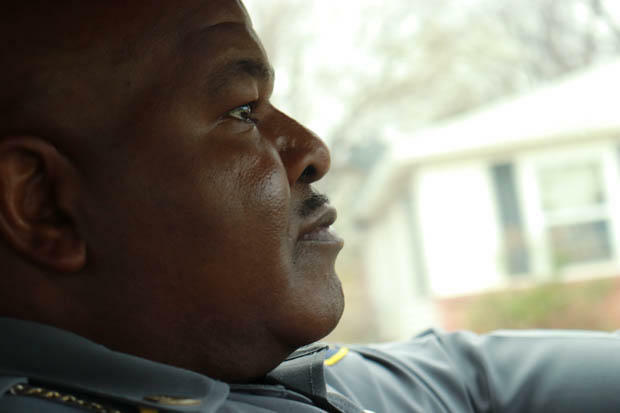 Crawford is a school resource officer who normally works out of Douglass Mid-High School. He has left his post temporarily to check on elementary schools and community centers in eastern Oklahoma City that are feeding kids who depend on the meals they get in school.